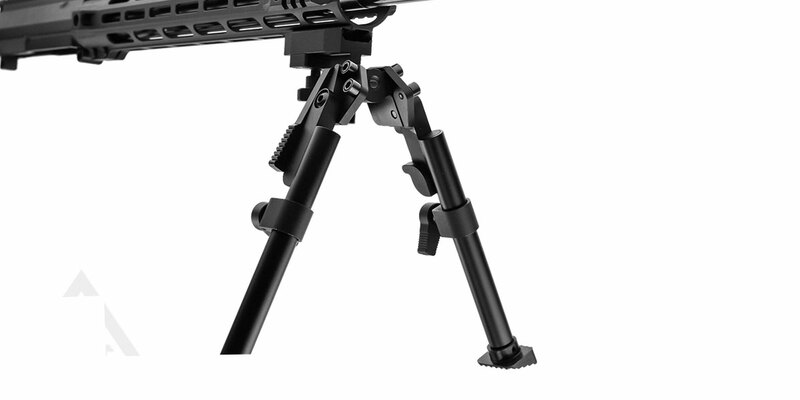 This bipod, which mounts to a picatinny rail, addresses a multitude of problems in conventional bipod design to offer a rock solid stable shooting platform. Modular footings allow one to swap between tactical steel spikes and knurled feet to maintain stability regardless of the terrain. Allowing one to adapt a comfortable and ergonomic hold on their rifle without having to deal with the awkward angle of the handguard with the bipod. 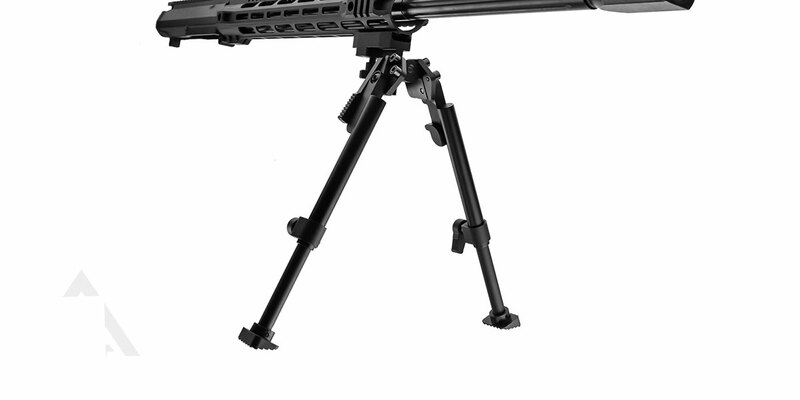 This allows one to use their rifle both in a normal unsupported fashion without any drawbacks in ergonomics, while maintaining a bipod for precision shooting from a supported position; perfect for competitive shooting.